It took 48 years for all 88 Ohio counties to be established, with Ohio becoming a state in 1803. In 1816, the Ohio General Assembly authorized boards of county commissioners to construct poor houses to care for those unable to provide the basic necessities of life for themselves: food, clothing, and shelter. 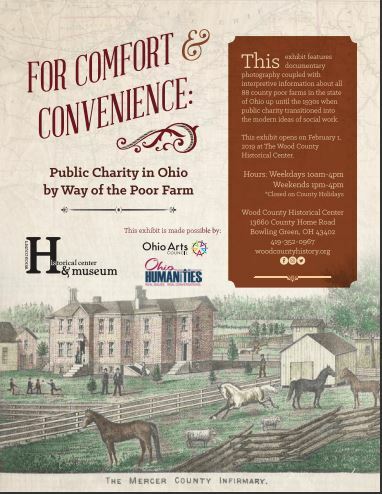 This exhibit features documentary photography coupled with interpretive information about all 88 county poor farms in Ohio, up until the 1930s when public charity transitioned into the modern ideas of social work. The Delaware County Historical Society‘s Cryder Research Library provided information and images for this exhibit. 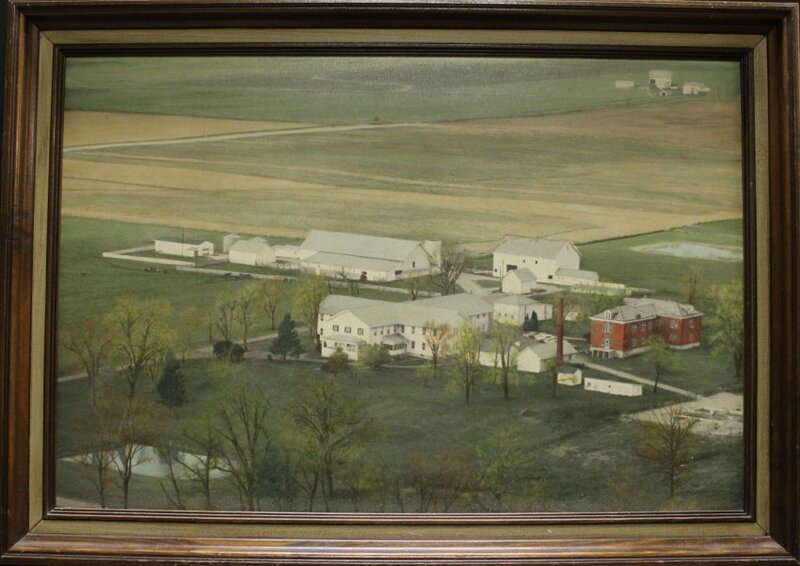 Including this painting of the Delaware County Home. The Wood County Historical Society is a community organization that makes connections between our past, present and future by capturing stories and cultivating memories of Wood County, Ohio and the County Home. The Society operates within the Wood County Historical Center & Museum, which is managed jointly by the Wood County Commissioners and the Wood County Park District.